Paul received a B.Sc. (Hons.) from Dalhousie University in 1970, a M.Sc. from Dalhousie University in 1973, completed postgraduate work (Limnology) at the University of Florida (1972-1973) and received an LL.B. from Dalhousie University in 1979. Paul is a member of the Law Society of Prince Edward Island, the Canadian Bar Association, the Discipline Committee of the Law Society of Prince Edward Island, and the Council of the Law Society of Prince Edward Island. Paul is a former member of the Articling and Admissions Committee, the Statutes and Regulations Committee, the Board of Examiners, the Continuing Legal Education Committee, and a former Bar Admission Course Instructor (1988 to 1995). He was appointed Queen’s Counsel in 1993. 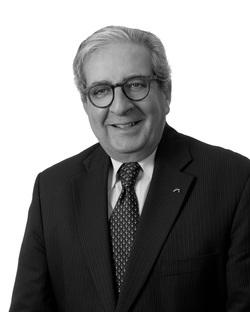 Paul has been a partner of the firm from 1980 to 2015. Paul practices in the areas of business law, litigation, real estate, wills and estates, labour and employment law.